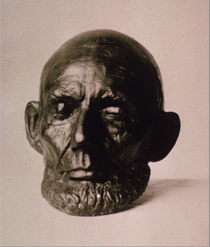 Throughout his life, Abraham Lincoln wondered if he would leave his mark on history. Today, 200 years after his birth, people around the world still find inspiration in his story. Like no other American, his life is entwined with the history and culture of the nation. His rise from poverty to the presidency has inspired others to believe in the promise of opportunity; his triumph in preserving a democratic nation is one of our greatest triumphs; and his death is our American tragedy. "Some men stand still, amazed, when the tempest darkens around them; others grow and rise to the height of the occasion; but few have ever grown and risen as did this man; his mind maturing and his views expanding under the stirring of his times."